 I was lucky to be invited over to OASE Outdoors in Denmark to have a look at some of the new family camping items for 2018. Here's a quick look at some of the things I saw. If you are cooking for your family at the campsite then pots and pans are essential, but they can be a bulky item to take. We look at a couple of solutions.